This is my current project. The project that I'm going to work on when I'm not working on a Schnibbles or my BOM. For those of you who have been following my blog, I'm sure you're surprised. 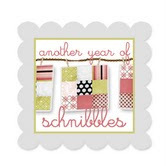 I'm a "one project at a time" kind of girl, or was, until The Year of Schnibbles entered my life. So I had a choice, just work on the Schnibbles and be happy a year from now when I had completed 12 projects, or lighten up a little and try to juggle more than one project at a time. The thought of not taking advantage of my Tuesday sewing day this week really motivated me to try and live like most other quilters, and have multiple projects going at once. This pattern is "Faceted Jewels" by Glad Creations. I saw the finished quilt at the Sew Batik booth in Paducah, Kentucky of April this year. It was a stunner. They had a kit, (and still do) and I thought long and hard about buying it, but in the end the size of this quilt stopped me. This quilt finishes at 80 X 104, and I just don't need another quilt that size, too small for my king size bed, and too large to throw over the back of couch or a bannister. Sometimes it's easy to change a quilt size by adding or subtracting blocks, but in this case, I thought using fewer blocks would take away from the design. When I got home I got my hands on the pattern. 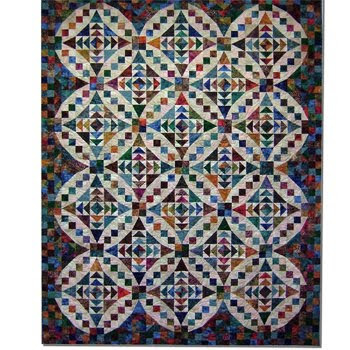 This quilt is made up of two different blocks that finish at 12 inches each. After studying the pattern I decided I could easily make the blocks smaller. So that's what I'm going to do, my blocks will finish at 9 inches, shrinking this quilt down to around 63 X 72. My usual sewing style is to have one project going, with fabric, pieces, and blocks in various stages. I usually make one block at a time, then one row at a time and so on. I know it's not the most efficient way to sew, but I'm so anxious to see a finished block that I just have to make one , then another one, then I want to see a finished row, well you get the idea. I'm cutting, piecing, and pressing whatever, whenever it suits me. That's going to change with this quilt. I'm going to break it down into several mini projects. First I'll cut the fabric, all the fabric. Then I'll make all the half square triangles, then all the 4 patch blocks, then all the triangle in a squares, then all the flying geese. Once all the parts are done I'll start in on the blocks. Once all the blocks are done I'll sew them together. That's my plan. And I think it will work, because anytime I need to stop to work on my Schnibbles, I'll just finish one of my mini projects and be good to go. Step one is done. I spent ALL DAY Tuesday cutting. Here are the strips for the 4 patch blocks. I did not mind the day of cutting, it's amazing how much more I get out of a TV show when I can actually hear it, as opposed to kind of hearing it over my sewing machine. Here are the rest of the pieces. The empty shelf below is for my future Schnibbles pieces and parts. These are the pieces for the half square triangles. The pattern called for 18 different jewel tone batiks, I'm going with over 40 because I think "a whole lot more is more". The pattern says you can mix up the background with multiple fabrics or go with one, I'm going with one. Here are the pieces for the tri-recs. The flying geese are in the back. I'm going to try out my new Fit to be Geese Ruler on these. I'm also an "over cutter". I like choices. I figure I've got enough to make 1 1/2 quilts here. Here's my cutting list, look real close, everything is marked off! So that's the plan, what do you think? Any tips? I know several quilters who have multiple projects in various stages and they seem to be able to carry on perfectly normal lives. They don't talk to themselves, pull out their hair, all the things I picture myself doing....but hey, as I've said before, "I'll try anything once". OH MY GOSH, what a beautiful pattern. I love it and your fabric selection is really wonderful. 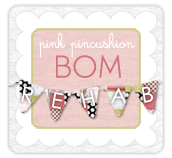 Like you, I prefer one project at a time but with the addition of 4 BOM's I had to learn to go with the flow. Though I still only work one big project at at time, I am slowly eliminating all but one BOM from my quilting projects. I found that they are taking all of my quilting time trying to stay caught up and I want to work on my own projects but just can't get to them. I'm now down to 2 BOM's but one is Thimbleberries and it is 4 blocks a month, it will finish in December and then I will be down to the easy, beginner style BOM which I do in the required fabric (beautiful collection too), then in two other colorways so that when it is finished I will have the makings of 3 lovely quilts. That is my last BOM and it is so very easy that I may continue that again next year. We'll see. Of course there are always those occasional 'instant gratification' project!!! I'll stop once in a while to do a table topper or small project that makes me feel like I have completed something so it isn't such a long dry spell between completed projects. What an ambitious pattern! That is going to be one amazing quilt when it is finished!!! Very neat pattern - it's even tempting me to think about doing it myself. My list of current or planned quilt projects has eight items on it, but one of those is an auction quilt with no design yet - hmmm. Keep us posted on how hard this one is to piece. p.s. I love that pink thing in the last picture that you have your cutter in... very cute! I'm afraid it would just get lost in my room! p.p.s. Let me know how you like that new ruler.... is it better than the Eleanor Burns method for flying geese? What a stunning pattern!!! You really did get a lot done on Tuesday - and so organized about it all!! I like the jewel tones. I am sure you will be able to handle multiple projects. My jealousy at your organizational abilities knows no bounds. I'm the most disorganized, not to mention flighty quilter. That quilt is going to be wonderfully bright. Beautiful quilt and batik fabrics! You are so organized. An empty shelf? What is that? :) I don't have any of those in my house! Thank you for the comment on my new blog! That is going to be such a beautiful quilt, Thelma. I feel like we are kindred spirits - I share a lot of your habits. Although the way you are approaching this new quilt is my usual M.O. - I cut everything, make one test block, then I make all the pieces, then all the blocks, then rows. And I'm an over-cutter too! Yay for you branching out! Happy Halloween . . . . . . . .
A Little More Progress . . . . .
A Few Good Things . . . . . .
Back To Faceted Jewels . . . . .
October Schnibbles Supersized . . . . . . .
More Fall Fun . . . . . . .